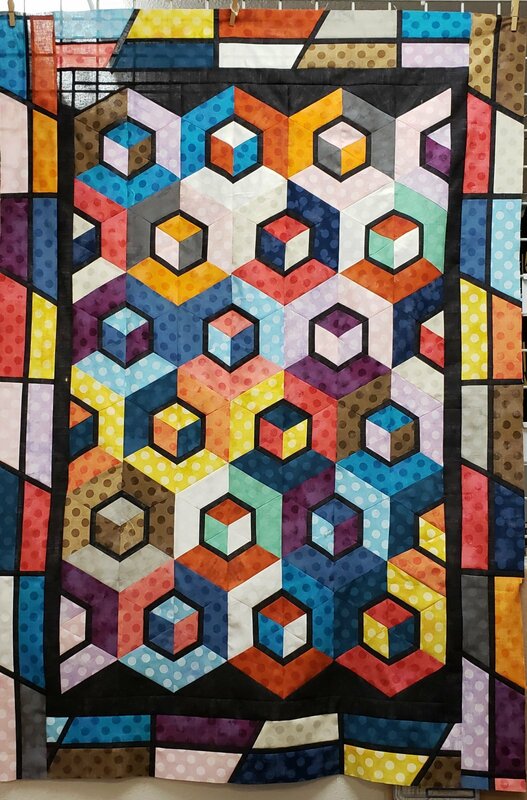 Come join Barb for this class in the new year and make this colorful Tumbling Block Quilt. The blocks are made without a special template. Interested in a kit? Be sure to check with us and we can help you select your fabrics for this class. Sewing machine in good working order. Basic knowledge of sewing. Thread, fabric, rotary cutter, scissors, rulers, pins or clips. Check with us if any questions.